Before Bexar County existed, the Catholic Church was present. Father Damian Massanet accompanied the first expedition to come to the shores of a stream, which he called San Antonio because it occurred on the feast of St. Anthony. Later, a combination of church and state founded the missions that brought civilization to the native population. In the 1790s, the missions were secularized and the lands returned to the native people. The parish church of Villa de San Fernando assumed the ministry to these people. San Antonio and South Texas were under the jurisdiction of a series of dioceses: Mexico City, Guadalajara, Durango, Linares, and Monterrey. With the birth of the new Republic of Texas, the Vatican wanted to know more about America and sent two French priests from New Orleans — Fathers John Timon and Jean Marie Odin — who were empowered by the bishop to investigate. The result was that Father Timon was sent to be bishop of Buffalo, N.Y., and Father Jean Marie Odin became the first bishop of Texas, with Galveston as his headquarters. He succeeded in having all the former church lands restored to the church by an act of the Texas Legislature in 1841. He was followed by Bishop Claude Marie Dubuis, who served through the difficult years of the Civil War and Reconstruction. The Catholic population in Texas grew to such an extent that a second diocese had to be created. Thus, in 1874, everything west of the Colorado River became the Diocese of San Antonio de Bexar under Bishop Anthony Pellicer of Mobile, Ala. His cousin was put in charge of the triangle from Corpus Christi to Brownsville to Laredo. Bishop Jean Neraz followed Bishop Pellicer, and it was he who sold the Alamo to the state of Texas for $20,000. Another Frenchman, Father John Anthony Forest, who had labored as a parish priest in Lavaca County, succeeded Bishop Neraz as ordinary. After 15 years of building and expanding the diocese, Bishop Forest grew fatigued, and so Father William Shaw of Mobile was appointed coadjutor bishop with the right of succession. He founded St. John’s Seminary, built a fireproof orphanage and managed the church during the early part of the Mexican Revolution. Soon, he was called to be the archbishop of New Orleans. He was replaced as bishop by Father Arthur Drossaerts, a priest from Baton Rouge, La. He built St. John’s Seminary, undertook a program to decorate the Cathedral of San Fernando and to restore Mission San José. He built numerous churches. He provided a refuge for Mexican clergy during the revolution there. In 1927, he became the first archbishop of San Antonio and guided the church through the Depression. He died in 1940. The second archbishop of San Antonio, Archbishop Robert E. Lucey, a strong businessman, was known as a champion of labor and the working man. He defended American and Mexican laborers. He expanded the church’s role in education and social welfare. He retired after the Second Vatican Council. His successor, Archbishop Francis J. Furey, brought peace and unity to the church as the diocese celebrated its 100th anniversary. The Mexican American Cultural Center was also begun during his episcopate. In 1970, Father Patricio F. Flores of the Diocese of Galveston-Houston was named the auxiliary bishop to Archbishop Furey. He was the first Mexican American bishop named in the United States. In 1978, he was appointed the bishop of the Diocese of El Paso, and shortly after the death of Archbishop Furey in 1979 was appointed the fourth archbishop of San Antonio. He came with a plan called the “New Pentecost,” which was to be the roadmap for his administration. Perhaps his best-known accomplishment was the visit of Pope John Paul II to San Antonio. Archbishop Flores is noted for his care of the poor, the immigrant, the unborn and those in prison. On Dec. 29, 2004, Pope John Paul II appointed Auxiliary Bishop José H. Gomez of Denver to succeed Archbishop Flores as the fifth archbishop for the archdiocese. 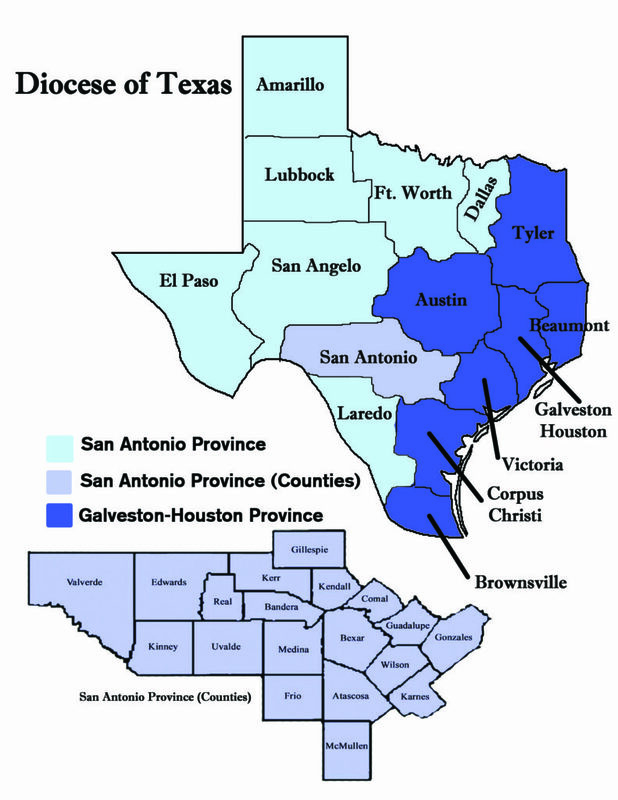 At the same time, the pope divided the state of Texas into two ecclesiastical provinces, making Galveston-Houston an archdiocese and the metropolitan see for six of the Texas dioceses. To mark San Fernando Cathedral’s 275th anniversary in 2006, Pope Benedict XVI proclaimed a Jubilee Year to be celebrated. A record number of seminarians were enrolled in Assumption Seminary for the 2006-2007 school year, and the new Archbishop Flores Residence Hall was dedicated on the Feast of the Assumption, Aug. 15, 2007. On Sept. 13, 2007, the archdiocese marked the 20th anniversary of the historic visit of Pope John Paul II, who was called to heaven on April 2, 2005. Pope Benedict XVI named Rev. 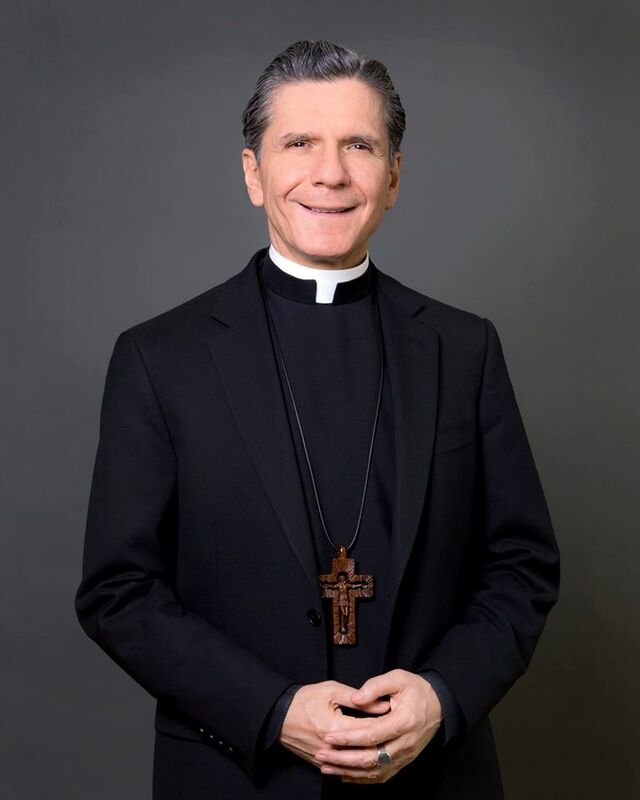 Oscar Cantú from the Archdiocese of Galveston-Houston to serve as an auxiliary bishop for the Archdiocese of San Antonio. He was ordained June 2, 2008. In April 2010, Archbishop Gomez was appointed by Pope Benedict XVI as coadjutor archbishop of Los Angeles. He succeeded Cardinal Roger Mahony as archbishop of the Archdiocese of Los Angeles upon his retirement early in 2011. The pontiff named Chicago Auxiliary Bishop Gustavo García-Siller, MSpS, as the sixth archbishop of the Archdiocese of San Antonio on Oct. 14, 2010. His installation took place on Nov. 23, 2010, at St. Mark the Evangelist Church in San Antonio. The archbishop was born in San Luis Potosí, S.L.P., Mexico, to Gustavo García Suarez and María-Cristina Siller de García. He is the eldest of 15 children. His brother, Eugene, is also a priest. The archbishop joined the Missionaries of the Holy Spirit in Mexico City in 1973 and was ordained a priest in Guadalajara, Mexico, in 1984. Francis Cardinal George, OMI, Archbishop of Chicago, ordained him auxiliary bishop of the Archdiocese of Chicago in 2003. Archbishop Gustavo is the leader of more than 770,000 Catholics in the Archdiocese of San Antonio. After his installation, Archbishop Gustavo celebrated Masses at each of the deaneries, gathering people from churches throughout the archdiocese, both rural and urban, for prayer and fellowship.